Gotoh's unique grooving on the “In-Tune” saddles results in more exact intonation compared to traditional vintage-style saddles. 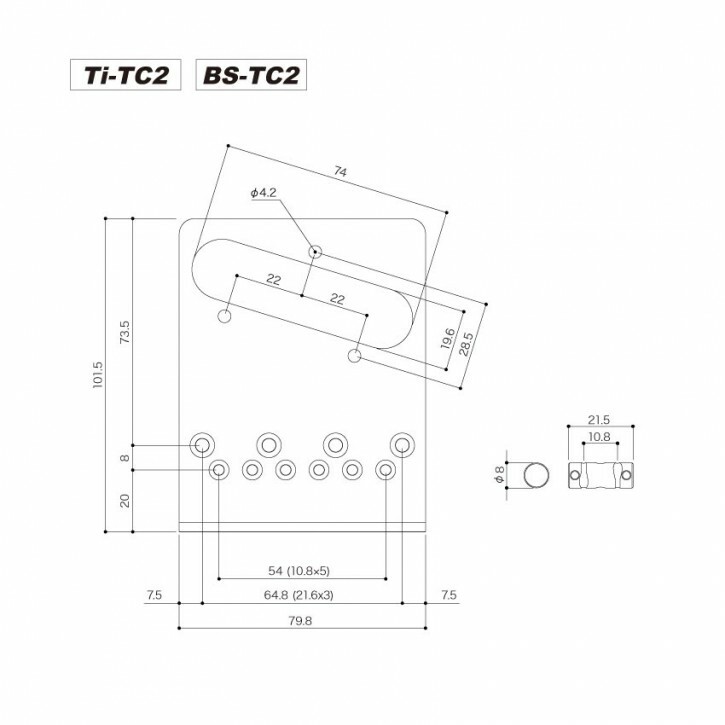 Each saddle is reversible and can be used in any position. 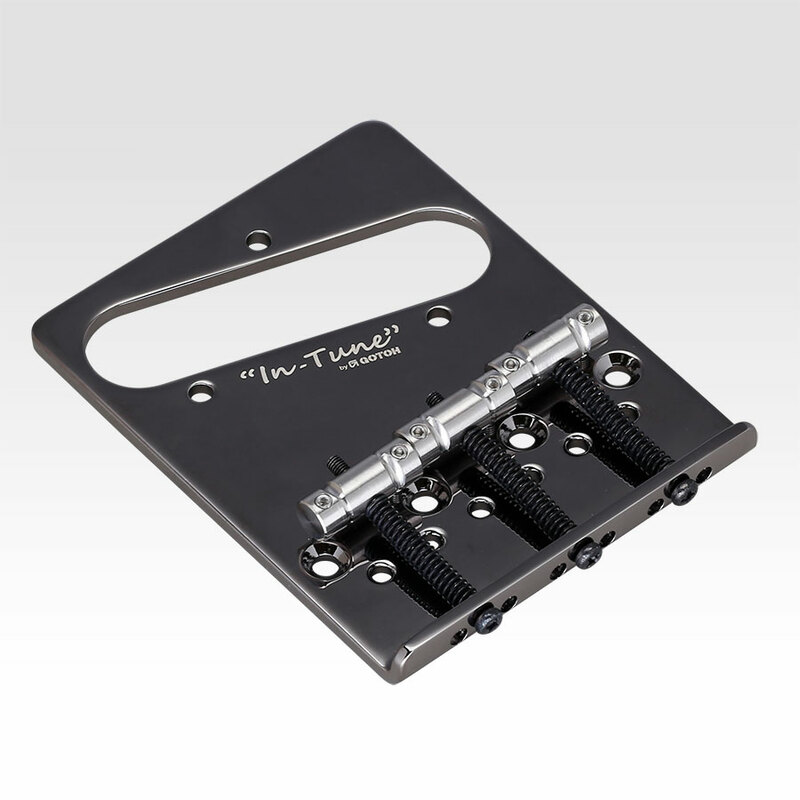 Titanium construction for rich harmonic overtones and long sustain. The brass saddle creates bright sound. 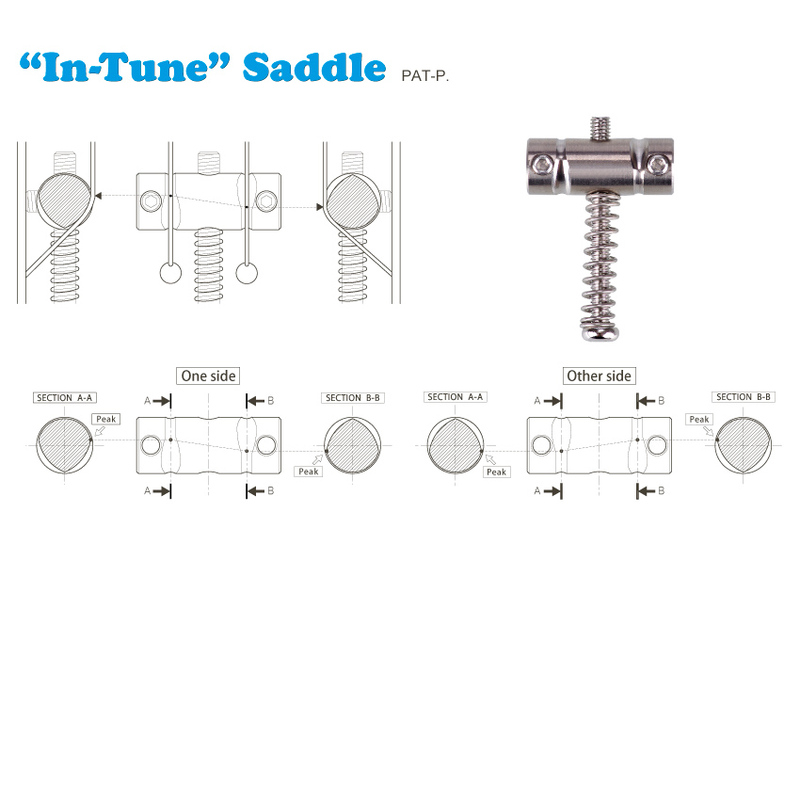 Gotoh is proud to announce the "In-Tune" saddle! *Perfect octave tuning not guaranteed.